This former 18th century farmhouse in the Yorkshire Dales is now a well-established pub, hotel and restaurant offering the well-known and traditional Yorkshire hospitality to all who visit. 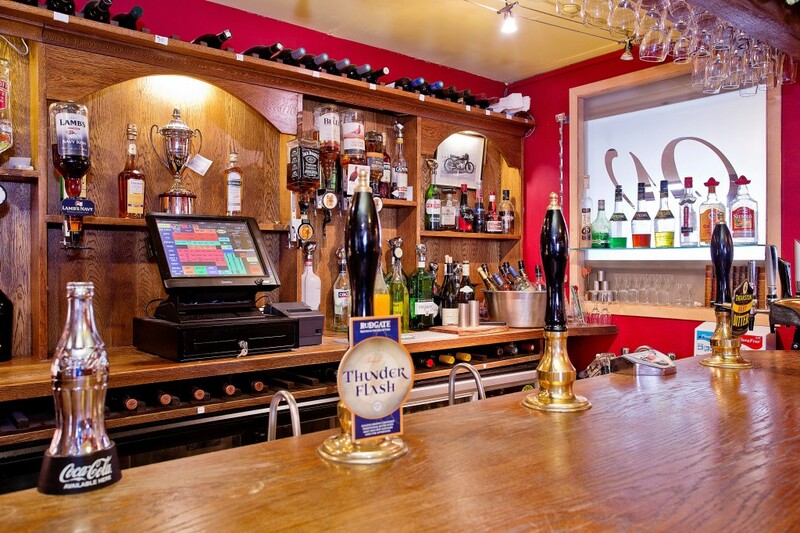 Current owners, the Stevens family, have run the Wyvill Arms for over 10 years and have over 50 years of experience running pubs and hotels in the Yorkshire Dales. Previous establishments include: The Kings Head in Richmond, The Black Swan, The Bolton Arms, The Kings Arms and The Queens Head. The Wyvill Arm’s Bar boasts a welcoming log fire for those cold winter’s days and nights, and has comfortable seating. The front room also has a ‘bistro-like’ seating area offering a full range of food, from bar snacks to restaurant-style dishes. The Wyvill Arms prides itself on using local produce for the majority of its menu – and indeed many of the herbs are grown in our own herb garden which commands beautiful views over the Yorkshire Dales.